CURRENTLY, TACTICAL HANDGUN 1 AND TACTICAL HANDGUN 2 ARE NOT OFFERED INDIVIDUALLY, BUT ARE COMBINED FOR A REDUCED PRICE. 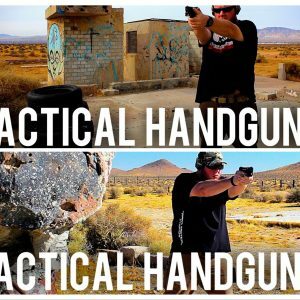 Tactical Handgun 1&2 is an abridged 8 hour handgun class that combines Tactical Handgun 1 with Tactical Handgun 2. 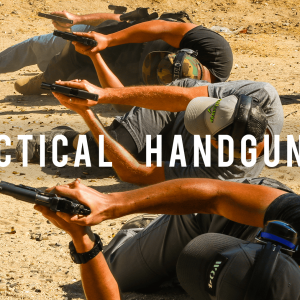 This all day class will focus on the fundamentals of shooting, holster work, shooting while moving and shooting from cover. 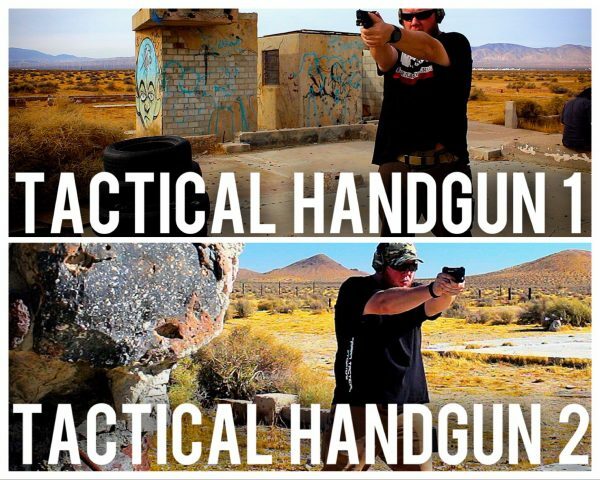 Tactical Handgun 1 & 2 is an abridged 8 hour handgun class that combines Tactical Handgun 1 with Tactical Handgun 2. This all day class will focus on the fundamentals of shooting, holster work, shooting while moving and shooting from cover. Learn how to shoot handguns effectively, accuratley and confidently. In this class you will learn the fundementals of handgun marksmanship, become proficient in safe handling of pistols. Approximately 4 hours on the range establishing your skills. Handgun Fundementals or a Handgun 1 Class is a prerequisite. In this class we take your Handgun skills to the next level. For intermediate/advanced shooters only! Approximately 4 hours on the range refining your skills. First 50 % of payment is non-refundable upon registration. Second 50% is non-refundable within the 30 days of the start of the course. This course will be held Thursday, August 9th 2018 from 9:00am-5:00pm. Lunch will NOT be provided so please bring your own lunch. There is nowhere nearby to run and get food so if you do not bring any, you’ll be hungry.